 Hey Milford drivers, Contemporary Automotive has finished construction and we are currently operating at our new building! Come visit us and see not only magnificent inventory, but the incredible dealership itself. You will see high-quality engineering that has created an environmentally-friendly building. Just from the moment you pull up, you’ll notice the beautiful garden which represents New Hampshire native plants that are drought resistant. From inside and out, you’ll find LED lighting, Large Destratification ceiling fans in the showroom, service drive-thru, customer lounge, and repair shop to circulate air and help optimize HVAC system, and light reflective exterior windows. The dealership is also powered by a photovoltaic solar array consisting of 450 Q Cells 300 Watt PV modules. Our Chrysler, Dodge, Jeep, and RAM dealership in Milford wants to improve the way you ride around town, but also the future of our planet. We ensured the construction of the future dealership would promote best environmental practices. According to the EPA, the amount of electricity we’ll generate is the equivalent to greenhouse gas emissions reductions of approximately 245,615 lbs. annually. We look forward to making a big impact in the future, as well as improving your drive. Contact us at (844) 500-6722 to schedule a test drive.